1st of all notice that you spool will have a depression cut into it at the base. In the picture above ( click for higher resolution) it is just above the line clip ( the shiny button). 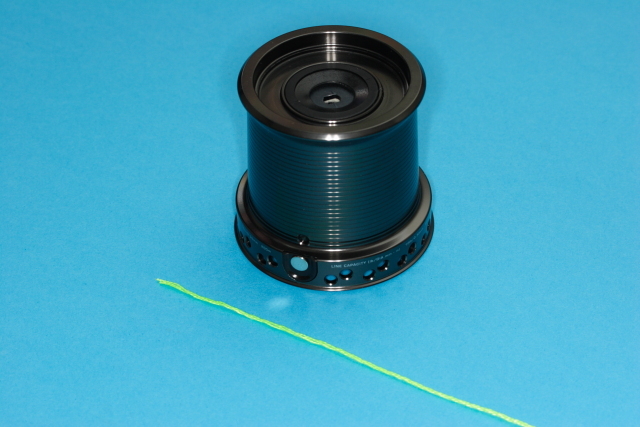 This depression is to hold the knot when tied and so the knot doesn’t cause any “lumps” on on the spool that may impede line from leaving and mess up your casting. Note that for the rest of the pictures I will be using brighly coloured string instead of line just to make it easier to see. 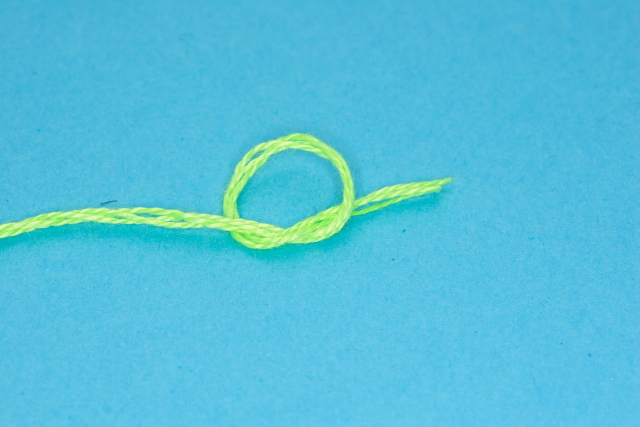 Pass the end of the line over its self to make a loop that is large enough to fit over the spool. Now tie another overhand knot around the main line with the knotted end that you make earlier as above. 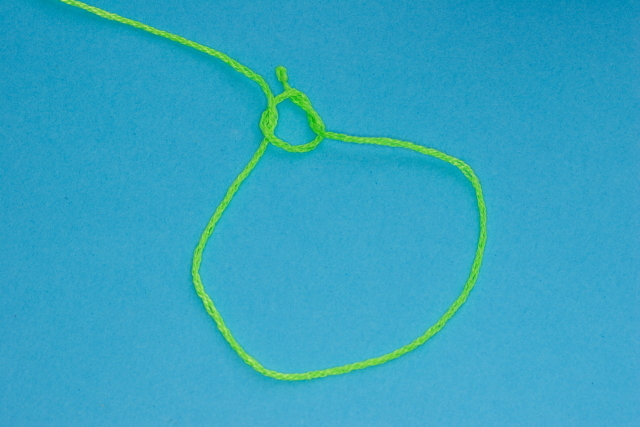 Pull this knot tight but don’t make the loop smaller. Slip the loop over your spool and position the knot in the depression that I showed and pull the loop tight. 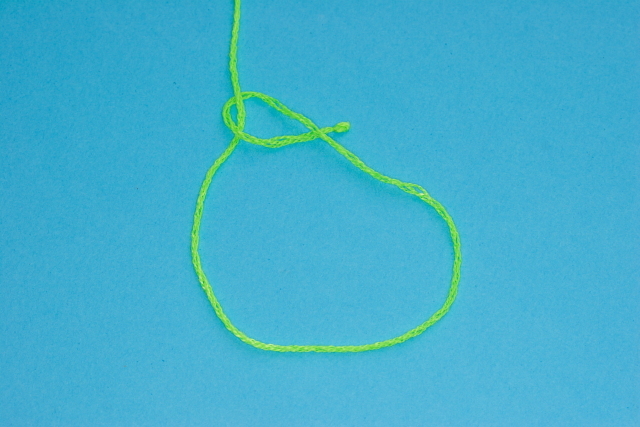 You may have to wiggle the line back and forwards for the knot to slip and the loop to tighten. 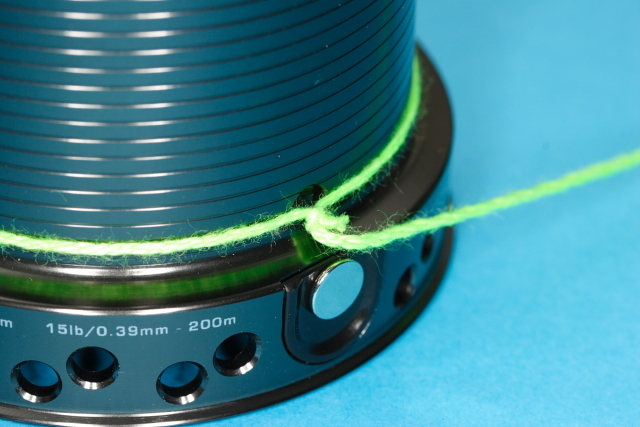 Once it is tightened ensure that the knot really is entirely in the depression and you are done, you can now start to wind your new line onto your spool. Note that this knot is good with braid as well as with nylon mono filament. 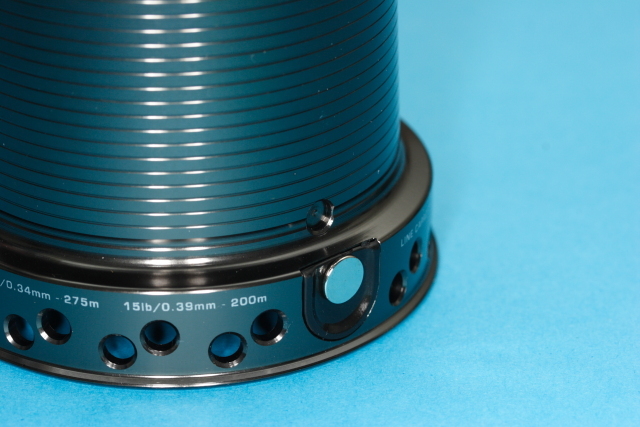 This is not what you want as the loop will not tighten down under pressure and you will have to start again. More knot articles can be found on the site if you wave your mouse pointer over the articles menu at the top or click here. Did you find this tutorial useful ? are there others that you would like to see ? let me know, either mail me a comment using the contact me button at the top or post a comment below. Next Next post: Korda Kaptor hooks, hype or not ?